Selena purchased the cheesecake at the original Junior's Restaurant on the corner of Flatbush and DeKalb Avenues down the street from the Barclay's Center. 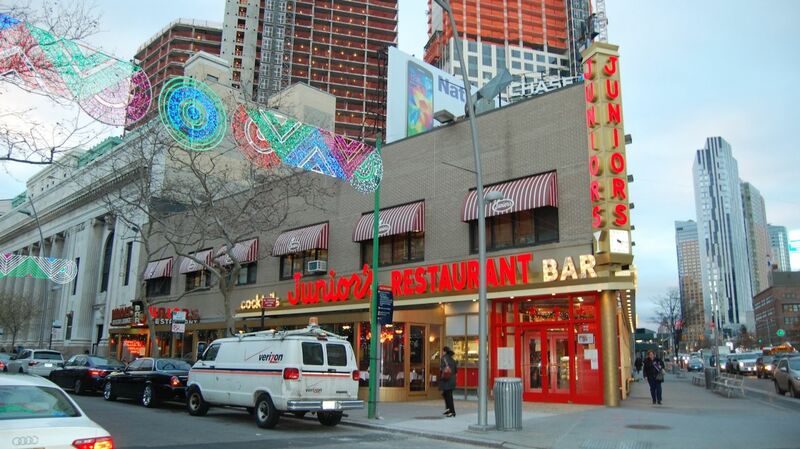 "Eating Junior's Cheesecake at their Times Square or Brooklyn location!!" 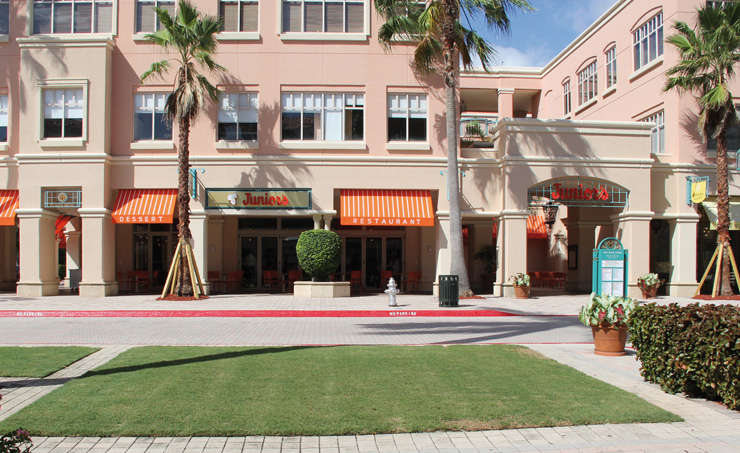 Boca Raton’s Mizner Park recently welcomed iconic Brooklyn, New York eatery Junior’s Restaurant to its lineup of shopping, fun and flavor. 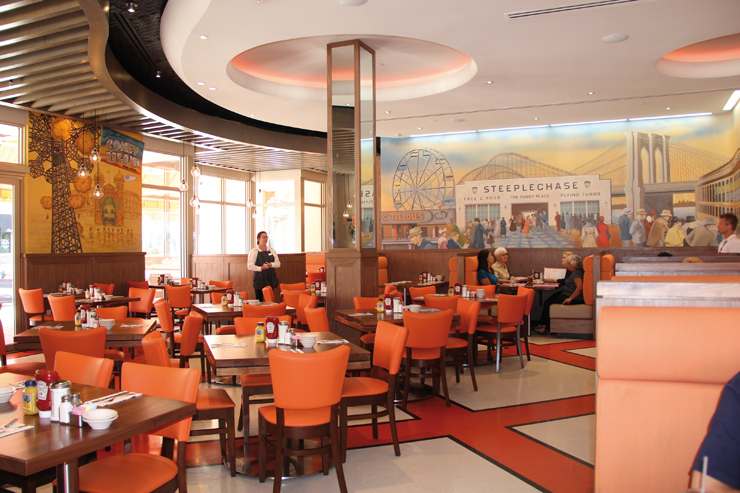 Boca Raton’s Mizner Park recently welcomed iconic Brooklyn, New York eatery Junior’s Restaurant to its lineup of shopping, fun and flavor. The restaurant features a vintage ’50s setting, with classic tunes, orange decor and a mural that serves as an ode to Ebbets Field. 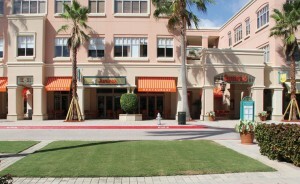 Third-generation owner Alan Rosen brought Junior’s to Boca Raton because his father Walter (son of founder Harry) owned a home in Delray Beach that Rosen frequented. “[Boca is] like a sixth borough of New York, so where else should Junior’s be besides where everybody knows us?” Rosen asks. 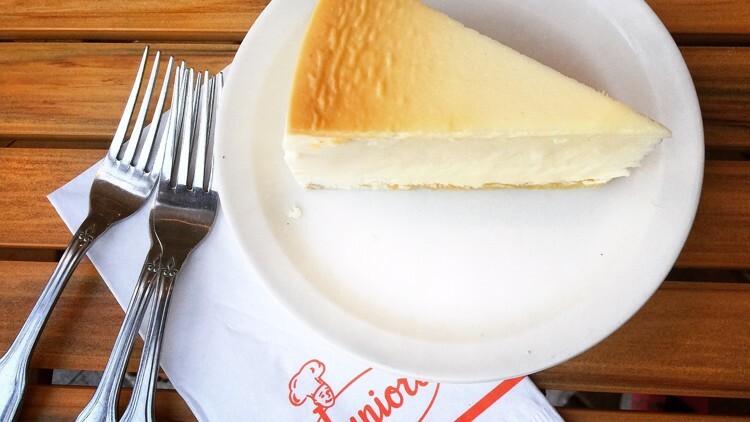 What makes Junior’s Cheesecake so tasty? Hint is in the name. It was the best New York souvenir I ever received: a single slice of Junior’s cheesecake from Brooklyn. 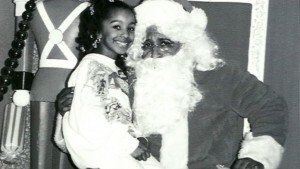 My sister bought it for me some years ago just before she headed to the airport for her flight back to Miami. She gave it to me less than an hour after she landed. By the end of the night, it was gone. My belly was happy. 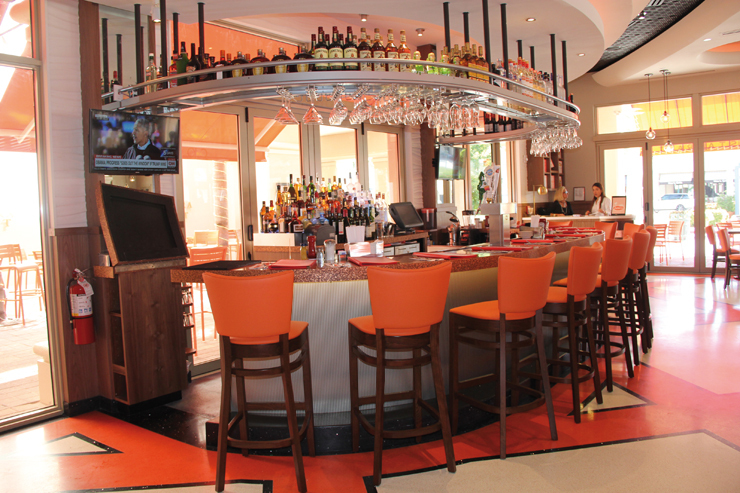 I remembered that cheesecake last October when I heard the news that Junior’s Restaurant was opening a location at Boca Raton’s Mizner Park. What makes it so memorable? This is cheesecake that fully earns the first part of its name. On first bite, you get a wallop of rich, creamy cheese, the kind of rich-cheese note one expects from a New York-style cheesecake. 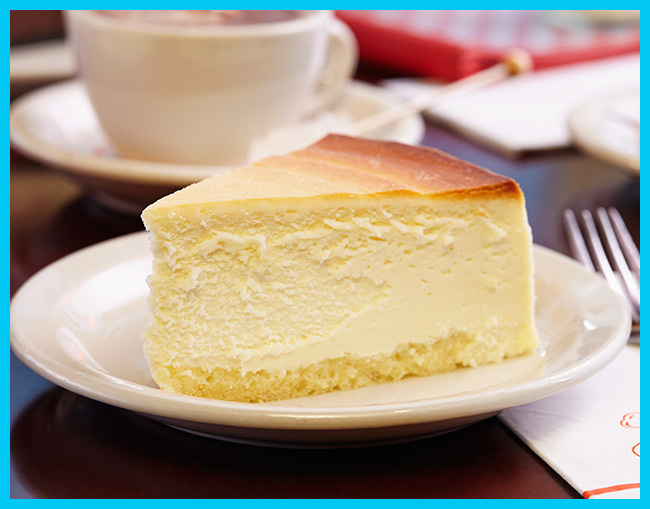 There’s a good reason for this: Junior’s uses four packages of Philadelphia brand cream cheese in every cheesecake. The rich flavor of America’s top-selling cream cheese lends depth in the way scalding milk brings out its deep, creamy flavors. The cheese filling is beaten with sugar and cornstarch, then vanilla, eggs and heavy cream until it’s billowy. It is spooned atop a sponge cake crust – yes, the cheesecake earns the last part of its name as well – and baked in a hot water bath. 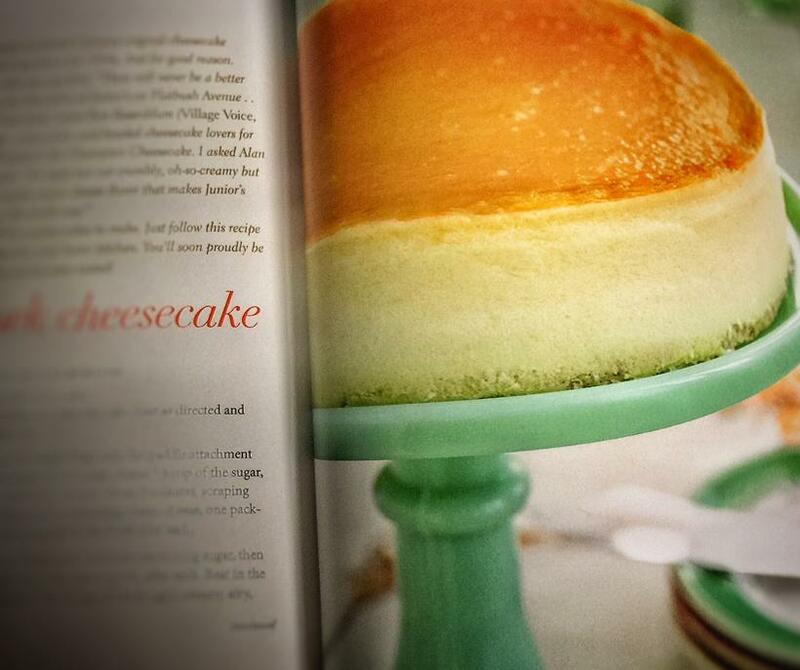 The cheesecake “has been baked the very same way since the 1950s,” notes the 2013 book “Junior’s Home Cooking,” co-authored by Junior’s co-owner Alan Rosen, grandson of restaurant founder Harry Rosen. In 2015, his company sold 3 million cheesecakes. The full-service restaurant offers its signature comfort dishes at breakfast, lunch and dinner, a bar and bakery, plus indoor and outdoor seating options. I’ll certainly drive miles south to Boca for Brooklyn-style grub. But it is the cheesecake and its creamy-rich filling upon the light, sponge-cake crust that promises to keep Junior’s on my gastronomic GPS. For their next installment of milkshake this, Black Tap—the burgary turned 2,500 calorie Instagram bait pushers—takes the hometown angle, partnering with Brooklyn-born Junior's for a milkshake/cheesecake mashup. Take a look at The New Yorker Shake, a strawberry "Crazy Shake"—the parlance they use to describe...stuff like this—rimmed with vanilla frosting and graham crackers and capped off with a slice of Junior's Strawberry Cheesecake and a jaunty dollop of whipped cream. Is it still a milkshake when you need to employ a fork to eat said milkshake? Questions for future generations. During the first weekend of March (3/3/-3/5), all locations of Black Tap and all Junior's locations (the Brooklyn flagship, Foxwoods Casino, Boca Raton and Times Square) will offer the shake. If you can agree to part with $19 (a regular slice at Junior's is about $8, for reference), this sip and slice of future heart disease can be yours. 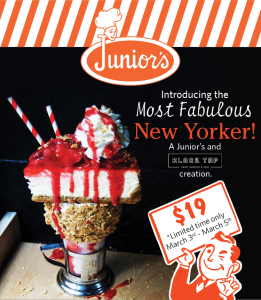 Boca New York transplants and newcomers to the Big Apple’s famous cheesecake institution can now enjoy Junior's Restaurant in their own backyard. 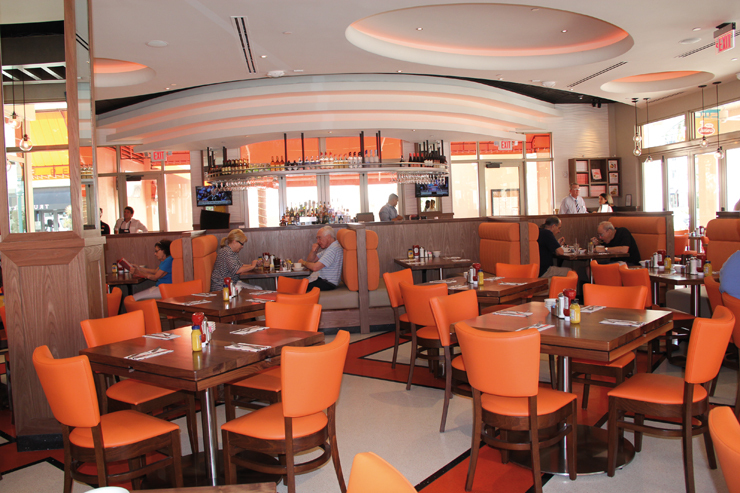 Third-generation owner Alan Rosen said he's been impressed with the reception by the Boca community so far—the restaurant served over 1,000 customers in one day last weekend—but truly, it's no surprise. "It's a great fit for us," he said. 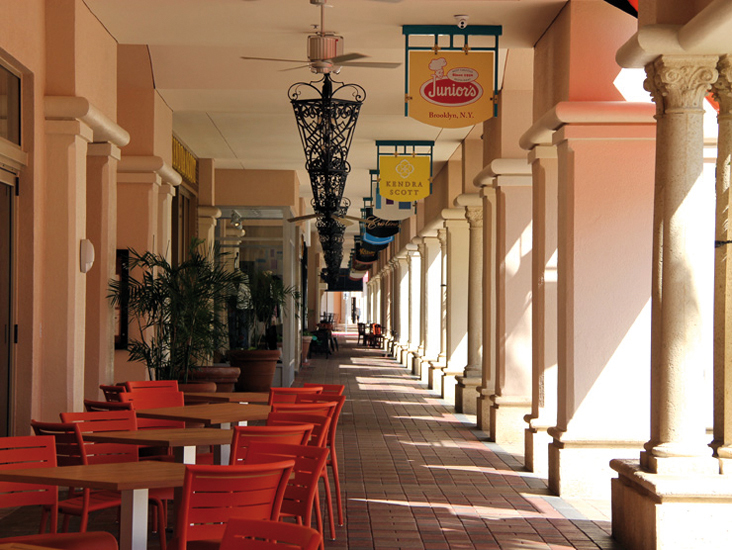 "Let's be honest, Boca is like the sixth borough of New York." So far, Rosen has encountered diners recounting their visits to Junior's up north, from those who'd eat at Junior's before or after watching a show at the Paramount Theater, to a young woman who told Rosen she had her Sweet 16 in the banquet hall below a Junior's location. 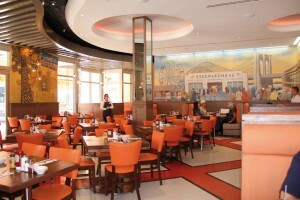 "It's really amazing as I walk around the restaurant going from table to table … how much people appreciate what we do and the history that goes along with that," Rosen said. 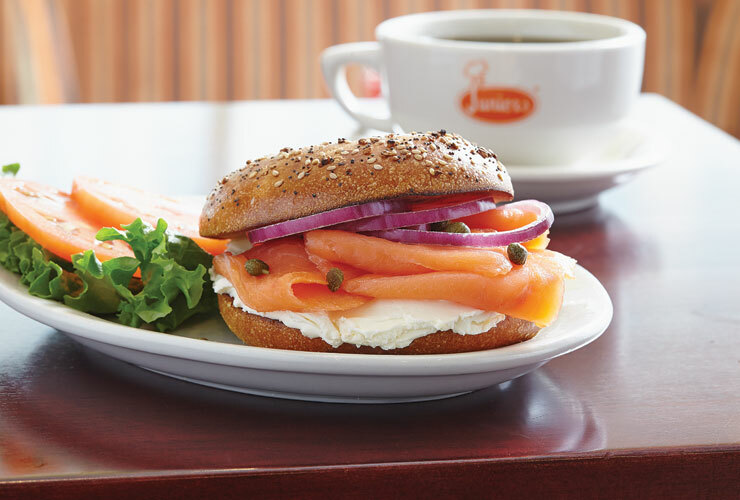 Junior's Restaurant first opened in Brooklyn on Flatbush Avenue nearly 66 years ago (on Election Day, in fact), serving an extensive menu including everything from overstuffed deli sandwiches to 10-ounce burgers and, of course, world-famous cheesecake. "I love all my children the same, but depending on what you're in the mood for, I think if someone's never had our cheesecake before, they should always have the original," Rosen said. "Then they can try it with fresh chocolate or strawberries. There are over 20 different types for a reason." 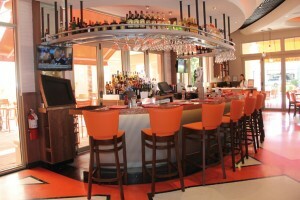 Currently serving lunch and dinner, the Boca restaurant offers its own bakery, a fully stocked bar and take-out. Rosen hopes to expand to breakfast and late-night service soon. "It's like a newborn baby. We're just teaching her how to talk," he said. 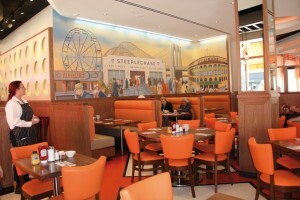 The restaurant is open from 11 a.m. to 10 p.m. Sunday through Thursday and until 11 p.m. Friday and Saturday. sshh! Here are some little-known secrets of our restuarant today. Actually, they aren't secrets at all but well-known history. There's a whole-lot of stories after 65 years in the same location. Gotta love Brooklyn! Junior's started as a "kosher-style restaurant"
When Junior's opened in 1950, the menu included many delicatessen favorites, from pastrami and Reuben sandwiches to stuffed derma (intestine stuffed with grains and meat with brown gravy) to "chicken in pot" (chicken cooked in water and served with matzoh balls and vegetables). Also on every table: pickles, coleslaw, pickled beets and peppers. But Junior's was much more than a deli, and did not adhere to any strict dietary rules. "We served gefilte fish and crab meat cocktail, so go figure!" Rosen said. As Harry Rosen used to say, "All you want, as you want it." Two New York institutions in one. In fact, Junior's is such a New York institution that Carrie Bradshaw and Mr. Big traveled out of Manhattan to have their wedding dinner there. The 2008 movie filmed on location at Junior's, and all of the major characters showed up. LL Cool J's monster hit "Doin' It" was filmed in part at Junior's in 1996. Directed by Hype Williams, the video features the Brooklyn girl emerging from Junior's and getting into the car of a Queens guy (LL). "I represent Queens she was raised out of Brooklyn." 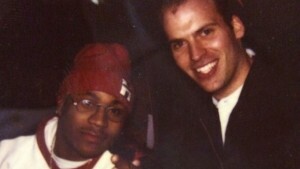 During the filming, Alan Rosen got his photo taken with LL. This is a Polaroid! 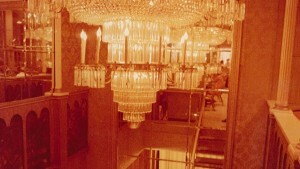 Junior's took over the bowling alley space in 1960 and converted it into a banquet hall they called the Burgundy Room. For 20 years, the space hosted weddings, birthdays, graduations and Passover seders. The Aug. 17, 1981 fire that destroyed Junior's, causing it to close for 9 months, effectively ended the basement event space's run. The restaurant was rebuilt, but the Burgundy Room was not. It is currently used for storage. "I can't tell you how many times over the years someone from the alley would run upstairs and tell us that another kitchen leak was dripping water down below. It got to the point that they'd have to hang buckets over the lanes to keep them and everybody else dry." 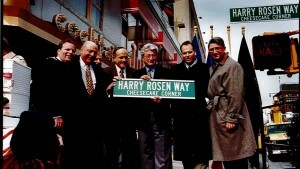 Harry Rosen died in 1996 and three years later Mayor Rudy Giuliani signed a bill that added the name "Harry Rosen Way - Cheesecake Corner" to the corner of Flatbush Avenue Extension and DeKalb Avenue. 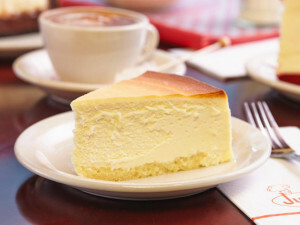 "Because of the legacy that Harry Rosen left to New York City and to cheesecake lovers all over the world, it is therefore fitting that the northwest corner of Flatbush Avenue and DeKalb Avenue be named, "Harry Rosen Way - Cheesecake Corner," the press release reads. 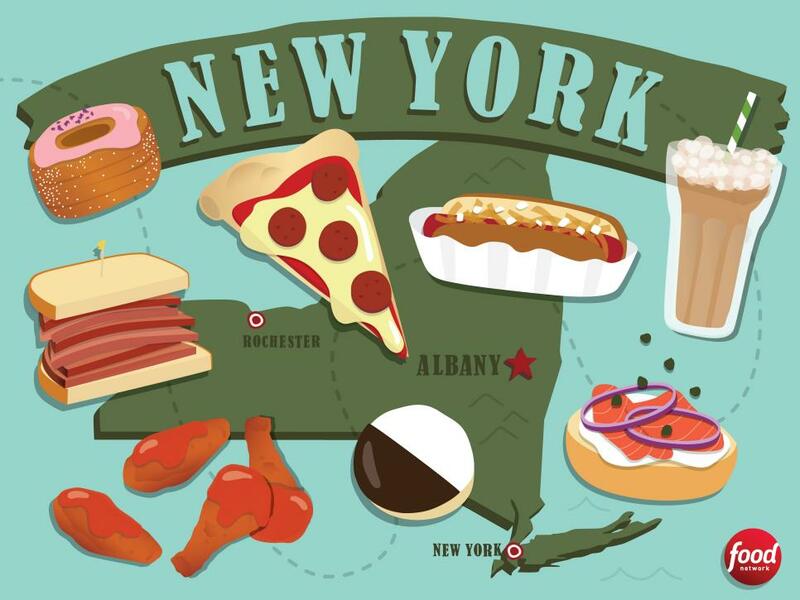 In 1973, New York magazine conducted a secret taste test and crowned Junior's cheesecake as the best in the city, beating out Stage Deli and Ratner's Dairy. The recipe will never change. "I'm not gonna be the schmuck who changes it!" Rosen said. "Cheesecake is our calling card." "If you love something, it's not for sale..."
When the Rosen Family decided not to sell the building and air rights to the parcel of land that Junior's sits on, cheesecake lovers and old New York lovers alike gave a collective sigh of relief. But people were baffled. How often does it happen that real estate interests don't come first in NYC? 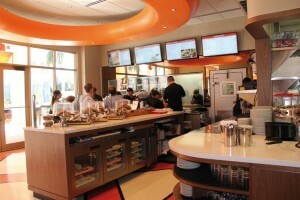 Alan Rosen has said that the top offer they received did not leave room in the ground floor for Junior's, and that was why they decided not to sell. But he told me that even if the offer had come as they wanted it, promising Junior's it could move back in after it was finished, he still wouldn't have taken it. "Even the thought of closing for two years was too much...People's patterns change," he said. "I've been coming here since I was four years old. I couldn't not be here. I think i'd be miserable." Rosen said offers are still coming in, despite the very public move on behalf of the family to say they aren't for sale. "We're gonna keep selling cheesecake and pastrami," he said. 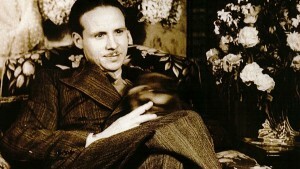 The famous cheesecake recipe was created by the baker Eigel Petersen (pictured) and Harry Rosen. 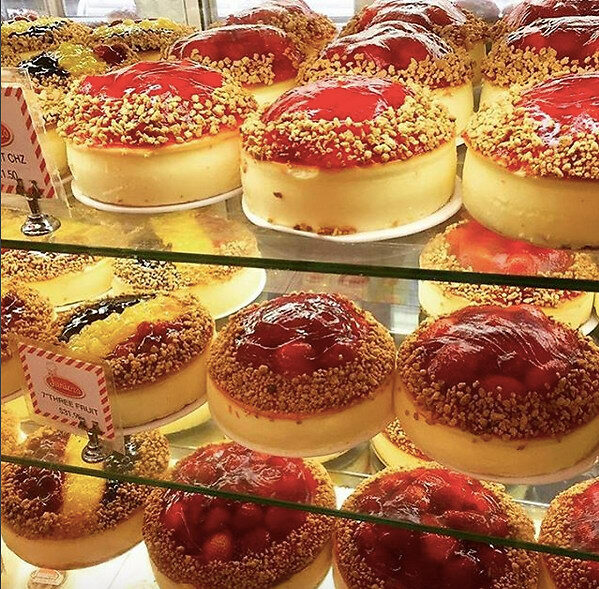 As Alan Rosen tells it, they sought out cheesecakes from all over, tried them, teased out what they liked and didn't like, and then created their own. "My grandfather would buy stuff, try it and better it." And since then, the recipe hasn't changed, not even slightly. "Not one ounce," said Rosen. 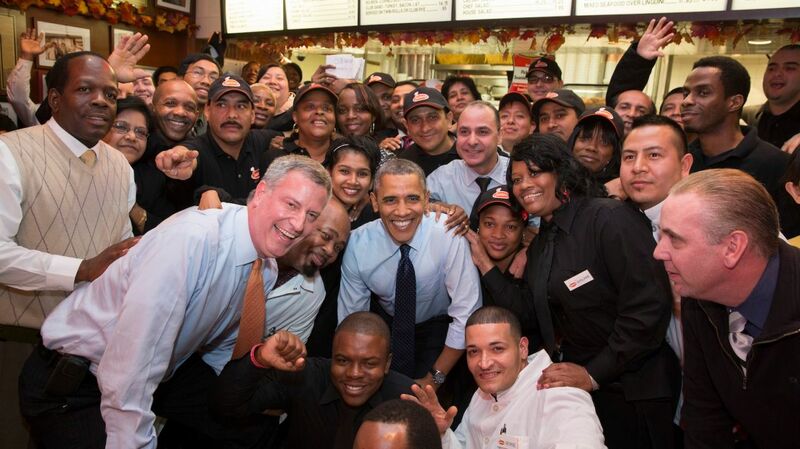 Everyone eats at Junior's: politicians, stars, business men and "bosses"
Junior's is an institution and is visited by U.S. presidents (Barack Obama stopped by in October, 2013), candidates and dignitaries the world over. 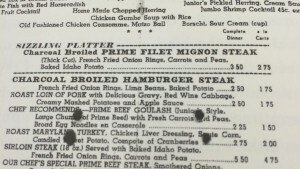 According to Rosen, in the past the restaurant attracted bosses of all kinds. "I don't want to speculate... everyone hung out here. It was a place to meet, a place to be seen," said Rosen. 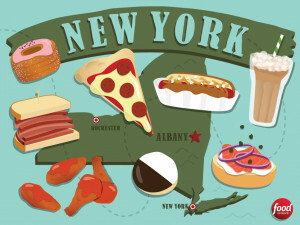 "If you want to see a real slice of New York you've gotta come to Junior's. It's a mix of people: business men, politicians... even Biggie Smalls used to come here!" One Christmas season during the 80s, one of the department stores on Fulton Street - either Macy's or Abraham & Straus - decided to discontinue its annual Santa visit, Rosen said. No local child should have to go the season without seeing Santa, the Rosen family decided, so they asked a waiter named Bill Williams to be Santa for a day. The line snaked down the block, Rosen said. Before opening Junior's on Election Day 1950, Harry Rosen operated five Enduro restaurants, named after a stainless steel manufacturer (the name had a certain ring that Rosen liked), including one at the site of Junior's in Downtown Brooklyn. The Brooklyn location wasn't the first Enduro's Sandwich Shop - several were already open in Manhattan. 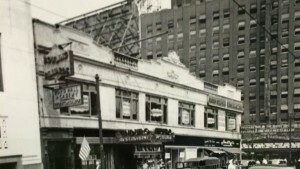 In February 1929, Rosen opened up on the corner of Flatbush and DeKalb, across the street from the famed Brooklyn Paramount Theater and close by the Fox Theater and the Albee Theater. In September, 1929, Rosen married his wife Ruth and took a honeymoon to Niagara Falls. When they returned, the stock market had crashed. The Rosen's decided to close their other Enduro locations and focus just on Brooklyn. 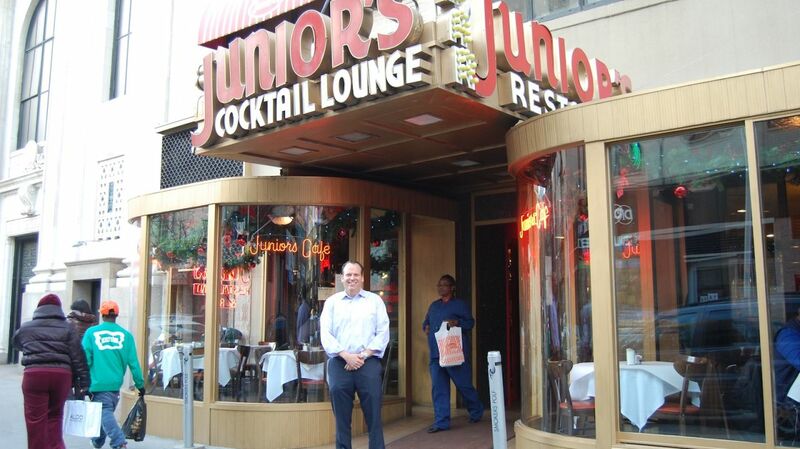 Junior's used to share their current location with Smitty's Luncheonette, a small lunch counter that was located on the corner of Flatbush and DeKalb. 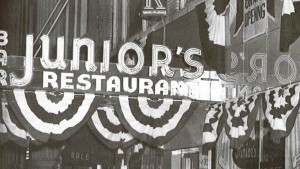 In 1942, Junior's (then called Enduro's) took over Smitty's, which had its entrance on the corner. 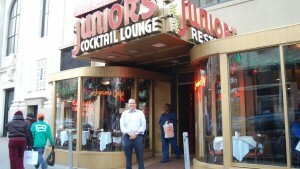 Junior's original entrance was on DeKalb Avenue, and is still used today though the main entrance is now on the corner. The original sign still proudly welcomes customers, as does Alan Rosen, grandson of Harry Rosen. Though surprisingly not invented in New York City, the Big Apple’s own style of cheesecake has gone down in the annals of dessert history. What marks that style: cream cheese. 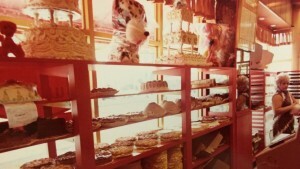 The original location of Junior’s in Brooklyn (386 Flatbush Ave., juniorscheesecake.com), has been serving the tart trademark in various styles, from classic to red velvet to raspberry swirl. But let’s face it: The Italians have been making cheesecake well before New Yorkers have. Instead of cream cheese, ricotta does the trick to add flavor and a bit of fluffiness. The Buffalo Ricotta Cheesecake at Rafele (29 7th Ave., rafele.com) comes from Naples-born-and-bred chef Raffaele Ronca’s mother. Its ethereal texture and delicate flavor earned it top mention as one of the nation’s best cheesecakes by Food & Wine magazine. An early use of cream cheese in cakes was included in the August-September 1909 issue of The Boston Cooking-School Magazine as small “Cheese Cakes,” instructing “Press enough Neufchatel or cream cheese through a ricer…” “Cream Cheese Pie (Kaeskuchen)” and “Cream Cheese Cake” appeared in The Twentieth Century Book for the Progressive Baker, Confectioner, Ornamenter, and Ice Cream Maker By Fritz Gienandt (Boston, 1912). 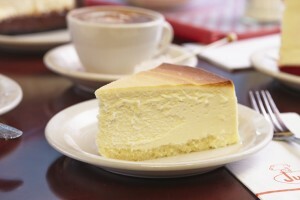 Nevertheless, most Americans continued to prefer their cheesecakes with curd cheese until, in the early 1930s, cream cheese-based versions became the rage of New York City. Essential to spurring the use of cream cheese in cakes was the addition by producers in the late 1920s of stabilizers -— without them the cheese tends to break up during baking, resulting in a grainy texture. Credited with introducing the new “New York cheesecake” was Arnold Reuben, a German-Jewish immigrant who owned a succession of Manhattan restaurants. Reuben also claimed to have created in 1914 the famous Reuben sandwich, consisting of rye bread spread with Russian dressing and topped with sauerkraut and slices of corned beef and Swiss cheese, then grilled on both sides. Reuben recounted how, after sampling a cheese pie in 1929 at a dinner party, he acquired the recipe from the hostess, then tinkered with the ingredients, substituting cream cheese for curds. When Reuben’s innovative cheesecake was served to high profile clientele at his restaurants in the 1930s, it garnered extensive renown and imitation by rival delis.